Last weekend, Mozilla threw a extravaganza lalapalooza of global proportions for Mozillians (contributors and staff) across three different countries: USA (Santa Clara), Canada (Toronto), and Belgium (Brussels). 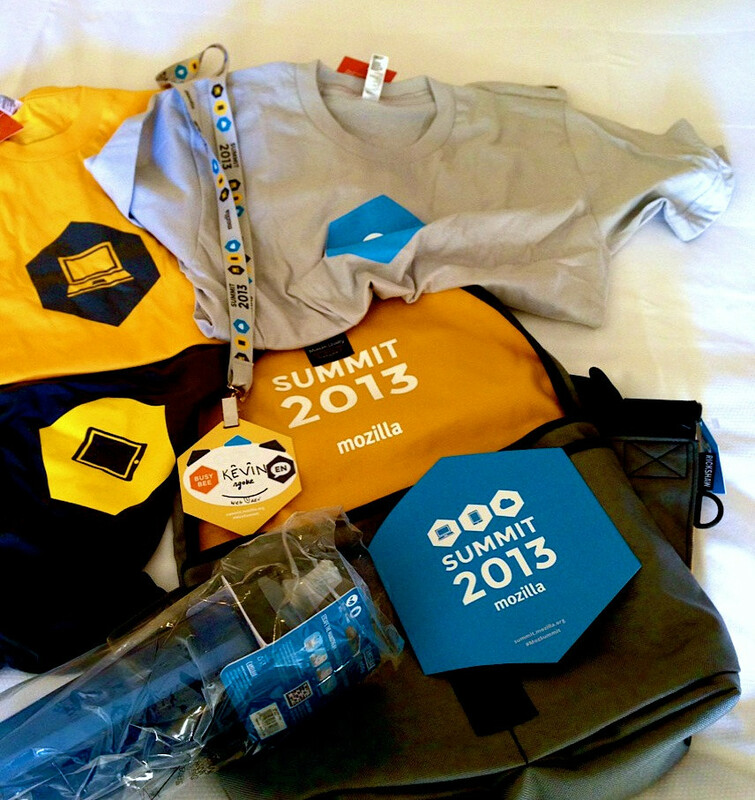 This was #MozSummit 2013. To quote, the Summit was us Mozillans’ opportunity to pause and celebrate who we are and all that we had accomplished. It was chance to meet other amazing humans, to connect, to dance, to build things, and to break them too. It was our moment to dig in and have fun. I went to Santa Clara, not the most prototypical exotic place, but it was the people that made it not the venue. Santa Clara unified everyone to fight hard to enjoy our experiences; the suburban sprawl wasn’t going to do us any favors on that front. Here were my highlights from the Summit in Santa Clara. Walking out the gate, and seeing a driver holding a sign: “K. Ngo”. I have never felt fancier. Dancing to What Does the Fox Say at the dance party. Very appropriate. Meeting Mozillians from overseas. Consisted largely of the Asian communities (China, India, Indonesia, Taiwan, Japan). It was especially a pleasure to meet Mozilla Beijing. I was just at Beijing, and I discovered I was staying in a hotel merely a metro transfer from the Mozilla Beijing office. Kicking myself for not visiting! It was awesome how Mozilla paid for flights and hotel for invited volunteers from all over the world. Haunted Six Flags Great America! Don’t know about you, but I adore roller coasters. Mozilla put everyone up with tickets to ride away. The park was in a Halloween event, and the smoke machines and actors gave the place a cool creepy carnival ambience. 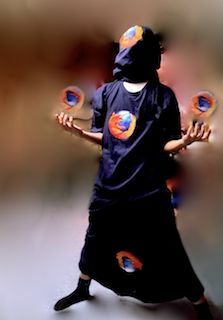 Revelling in FirefoxOS’s accomplishment. During a dinner, they played a mini-documentary about the FirefoxOS’s showing at Mobile World Congress. FirefoxOS definitely took the show, attracting over 20 carriers. It was dramatic, featuring the Mozilla hackers’ marathon in constructing FirefoxOS starting from a bare GitHub repository. FirefoxOS is an underdog, but pulling it off would make for warm feels. Seeing CRAZY demos from the Unreal Engine on Firefox, remote debugging of FirefoxOS apps, Webmaker, PopcornMaker, Thimble. Travelling Out of San Jose Airport. My best experience yet from terminal, through TSA, to the gate. As for down-lights? Going on a photo walk at 6:30am with 200 other photographers in Santa Clara. Even Ansel Adams wouldn’t be able to pull a keeper walking through the parking lots and highways of Santa Clara. After the Summit, I gained a bit of post-conference motivation to pump out some more FirefoxOS apps. I might have a bit of Mozilla mission kool-aid stewing around as well.